MemoryThe history of the University of Minnesota is alive in the campus, in the names on its buildings and seminar rooms, and in the markers and portraits that adorn its walls. 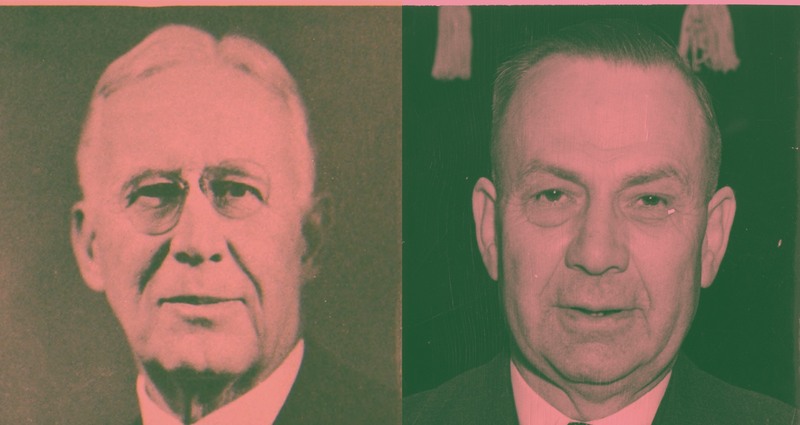 The official histories of the University of Minnesota honor—and erase—the lives of administrators, faculty, students, and all of the people who have worked here. How can the University remember those who created—and resisted—the policies of racism, antisemitism, and student rights, to support a diverse and egalitarian community? Projects that raise the question of memory are often asked if it is fair to look at the past through the lens of the present. Some politicians, citizens, and writers wonder if it is appropriate to focus on decisions taken by leaders without paying attention to all of their accomplishments. 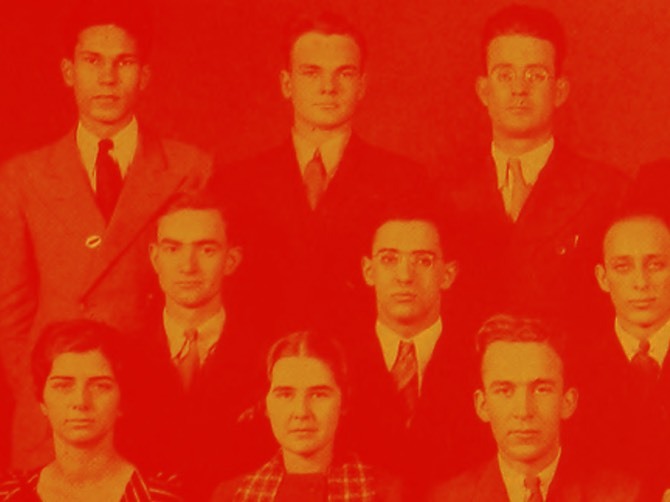 “A Campus Divided” documents the divisions, the debates, and the issues of the 1930s on the campus of the University of Minnesota. If we believe that “most” colleges or universities practiced racial segregation in some form, or that antisemitism was broadly accepted during this period, we exclude the debates that occurred in a time period. 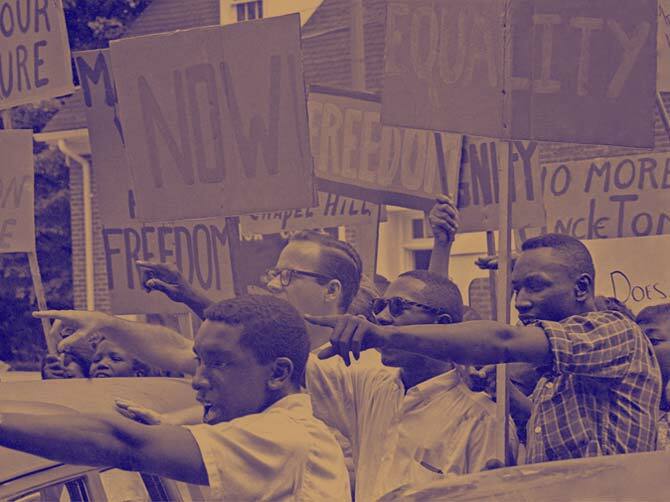 It is not hindsight that drives us to remember how problematic segregation was. Were we to accept the racial hierarchy as “normal,” we would erase the dozens, then hundreds, then thousands of people who opposed it at the University of Minnesota between 1931 and 1942. We would erase the impact of fighting fascism in Europe on the lives of people who rejected racism because it resembled Nazism. Historical memory requires all of us to know what happened to all groups in a society. The histories of those without power are especially important to find and report. The range and variety of voices that reveal the past are key to history. At the same time, we are also called on to understand how those same relationships between the powerful and those with less power shape how we look back on the past. We risk the double injury of an erasure of what happened and how we recall it if we fail to do that. “A Campus Divided” attracted thousands of visitors to Andersen Library where the physical exhibition was mounted. The press coverage in print, digital, radio, and television spread the word about the University’s history and increased interest in the exhibition. Public history reached those who were interested because it was discussed in the public arena, including in the Jewish and African-American press. No one anticipated its success or the extent of public interest. An exhibition of documents spoke eloquently to students, faculty, and staff, as well as people from throughout the region, because it revealed a history that was unknown to most. A thorough report on the exhibit, a brief history of the research process, and a detailed account of the various threads of the larger historical narrative. The article ends with one of the central questions posed by the exhibit: how do we choose who to memorialize and how have we commemorated their lives and work? How can we grapple with our shared history and reevaluate public displays of commemoration? Minnesota's largest newspaper devoted multiple pages to the exhibit and the history of on-campus racism, antisemitism, and surveillance. It featured student activists from the 1930s, and drew significant attention to the exhibit from beyond the campus. President Eric Kaler announces the formation of the President’s and Provost’s Advisory Committee on University History in a letter given at a public event for the exhibition. President Kaler responds to the exhibit in an effort to confront the U’s history of racial segregation. Professor Prell does not call for specific outcomes, but rather that the campus reckon with its history. The article announces that a Committee on University History, to be led by Dean John Coleman, will advise President Kaler on how to respond to the exhibit. The article describes the panel discussion on the exhibit, including Riv-Ellen Prell, Sarah Atwood, and John Wright at Andersen Library. Wright explains the difference between Southern and Northern racism, the latter based on the building of barriers and “psychological conditioning,” as exemplified by the University administrators in the 1930s and ’40s. In an interview, Kaler suggests that the “total impact, the weight of accomplishments that an individual provided to the University” should be considered before renaming campus buildings, such as Coffman Memorial Union. Student Body President Trish Palermo calls for renaming of Coffman Memorial Union. Professor Prell explains how and why she began to research the University’s history of anti-Semitism and racism, what she believes the project means for University today, and how the exhibit might prepare us for future conversations about memory and how to confront our shared past. Minnesota Public Radio covered the exhibit in a story that interviewed both Professors Riv-Ellen Prell and John Wright, whose aunt was one of the activists featured. It offered several perspectives on renaming buildings that honored key figures in creating racism and antisemitism on campus. UMN Libraries include a number of links to articles responding to 'A Campus Divided,' including post-it notes bearing the reflections of exhibit visitors. Archivist Kate Dietrick describes the three-year process that led to the exhibition 'A Campus Divided' and its impact. She describes the archiving of all of the comments left about the exhibit, and the importance of public history. Ailts sees the renaming of Coffman Memorial Union as an important and crucial step in confronting our shared past. “If it is inclusion and acceptance that we proclaim to value,” she asks, referencing the U’s 'We all belong here' campaign, “how do we show our commitment to that as an institution?” For Ailts, the answer is making a clear distinction concerning who and what we want to commemorate. More than 1,200 people signed an online petition calling for Coffman Union to be renamed. Supporters include Rep. Ilhan Omar, DFL-Minneapolis, who represents the district where the University campus is located, and who tweeted out a link to the petition. Chloe Williams, a UMN student, authors a petition to strip the student union of Coffman’s name and posts it online. As of the writing of this article, about 4,700 people had signed it. Student government votes to rename Coffman Memorial Union, and suggests that other buildings named after administrators featured in the exhibit ‘A Campus Divided’ may also be renamed in the future. These buildings include Nicholson Hall, Middlebrook Hall, and Wiley Hall. Jason McGrath, who is an Associate Professor at the U of M, explains that the renaming of Coffman Memorial Union is less about punishing the sins of the past and more about respecting the experience of individuals in the present. “Respecting the otherness of past historical moments does not require that prejudices that were wrong even in those times continue to be honored today,” he argues. MSA calls for a more specific renaming policy in the case of Coffman Memorial union. “A group of about 50 people silently marched across the University of Minnesota campus to draw attention to the University’s history of discrimination and demand that buildings named after some past administrators be renamed.” The walk was organized by MSA students, but the group was also joined by Students for Revolutionary Socialism as well as a number of U graduate students. A news story about the exhibit and a call to reconsider building names of several of those men featured in "A Campus Divided."